Established in 2000, we are a young and dynamic team which possess a wealth of experience in the architectural design & supply of innovated solutions to dealers, re-sellers and system integrators. Our product specialists and engineers in both security and networking, enable us to partner with our customers on any project, big or small, with design, architecture & competitive pricing. Our core product range includes Networking , intelligent Security hardware and software, Power back up systems and IT hardware to offer a complete solution to our customers. Since our inception our values and aspirations have evolved with one purpose in mind, to better serve the markets requirement for effective technology solutions providing great benefits to our clients with customer satisfaction being our core value. We are only as good as our Customer first: Our priority is to satisfy. Accountability: If it is to be, its up to me. Commitment to quality: If we going to do it, do it the best we can. Honest, integrity & mutual Respect: Simplicity in relationships comes from these principles, we keep it simple.people Inspire to be the BEST! We are only as good as our people Inspire to be the BEST! Eurobyte Technology is a South African based distributor of ICT Networking and Security Infrastructure equipment. We were established in 2000, and we have expanded our footprint across Southern Africa. We distribute our CCTV Surveillance, IT Networking and IT Hardware products and solutions via registered customers that include CCTV installers, project managers, large corporations, public sector entities, networking companies, resellers, retailers, systems integrators and systems administrators. Our customers span the SADC region, and we have established a regional footprint through them in South Africa, Mozambique, Zambia, Namibia, Zimbabwe and Botswana. Our customers supply banks, data centres, fibre optics companies, SOEs, retailers, mines, schools and a host of other businesses that use CCTV surveillance cameras, NVR’s, mobile surveillance equipment, network cabling, network installation tools, network server cabinets, IT hardware, software and other systems installation products. Our operating hours are Monday to Friday 08h00 to 17h00, closed on weekends and public holidays. We distribute from three locations in South Africa – Johannesburg and Tshwane in Gauteng, and Cape Town in the Western Cape. Eurobyte Technology partners directly with key product vendors to offer our customers competitive pricing, valuable advice and expertise, warranties and first line support for applied solutions. Vendor training and certification is provided which assists the credibility of our channel partners and offers peace of mind to their customers. Our key product vendors for networking are Cattex, Planet, EPS and Ubiquiti. For CCTV they are Uniview, Geovision. For IT Hardware they are Microsoft, HP, Dell, LG, Samsung, Seagate. We also have a host of other products and solutions from different vendors and partners. Eurobyte Technology supports and embraces the drive for transformation and improved standards of living for all in South Africa. We are a BEE compliant company. We believe that if all entities play a vital role in the development and transformation of our great nation, we will achieve the national vision. Corporate governance people development, enterprise development, social programs and donation are an integral component of our business. We have a 40-strong and dynamic team of individuals and professionals who possess a wealth of knowledge and experience in the architectural design & supply of innovative solutions to dealers, resellers and system integrators. We have a qualified technical staff complement of engineers and product specialists who manage any repairs and the pre-configuration of systems required by our customers. Our CCTV department goes as far as providing commissioning assistance. This includes on-site assessments and recommendations. Solutions include network infrastructure and setup, efficient placement and the application of the latest features for cost-effective, efficient configurations. The pre-configuration process saves our customers hours of time and effort when they are on site and setting up their clients. Also, our technical experts are on hand to advise and guide customers from the architectural phase all the way through to infrastructure implementation. We have fully fitted CCTV and Surveillance training facilities and highly experienced trainers, at our Johannesburg, Tshwane and Cape Town branches. We provide vendor certification, and this development program gives our customers’ clients the peace of mind that they are dealing with qualified professionals. Eurobyte has partnership agreements to distribute top networking brands including Planet Networking, Cisco and Cattex. The extensive range of Networking products we offer includes networking devices, networking switches, rackmount network switches, server racks, server cabinets, power backup, UPS and UTP cables. Our Cattex range provides a comprehensive range of networking accessories that include KVM solutions, cabling, IP55 outdoor server cabinet, indoor server cabinets and smart server cabinet. Our expert sales and management staff will help you from the architecture stage all the way through to commissioning your ideal solution. Eurobyte offers high standard CAT5 and CAT6 networking cables. Our networking cables are designed for fast broadband applications and are the most popular network cables in the market. We can customise your requirements and assemble any length, colour or type of patch lead you need. This in-house service ensures speedy turnaround times. Eurobyte is the official distributor of Planet Networking and Communications products in South Africa. The brand gives business and home users the foundation for a primary or sophisticated integrated system. From small office, home office (SOHO) to vast office network we have a full array for you to choose from. Planet offers “Easy installation and use”, “Compact-size design” and “Simple troubleshooting” that can be managed by novices and professionals alike. Planet is the go-to brand for all networking and communication needs. Eurobyte is affiliated with a local server cabinet manufacturing company that employs state of the art machinery, the latest software available and highly qualified design engineers to produce a wide range of premium quality indoor and outdoor server cabinets. The products include a selection of server cabinet enclosures, datacenter structures and customised enclosures for unique client requirements. Eurobyte’s surveillance division has qualified technical specialists, sales experts and first-class support to ensure our customers have the utmost confidence when offering our solutions to their clients. Our range of highly sought-after brands includes the very latest video security solutions from CCTV cameras, to NVR’s, Mobile Solutions, accessories and more. Product offerings include the Uniview range of CCTV cameras and NVR’s that come with various SMART, intelligent and analytics features. Our Geovision range includes IP cameras, control centre software and analytics. Our Longse range comprises cost-effective solutions. Other product ranges include thermal cameras, mobile solutions and accessories for CCTV installations. Our support goes beyond just supplying the right product. We also offer technical demo kits, proof of concepts all to ensure your projects are delivered on time, on budget and to the highest standards. Eurobyte Technology distributes a wide variety of leading international IT hardware brands. These include HP & Dell Servers, Microsoft, Intel, Seagate and a host of others. We have a technical team servicing these products on a national level. We offer a selection of desktop computers, notebooks, PC peripherals, PC accessories and monitors. To partner with us, complete the registration form. Once you are approved, we will send you latest price lists and access to the registered user’s section of the website. As a channel partner, you will also be entitled to our discounted rates and special. Remember, you are also welcome to talk to our professionals and highly experienced staff – we will tap into our years of experience to help you put together your best solution. Should your requirements be unique, exceptionally large, or highly customised, let us know, and we will deliver to your spec. We welcome all resellers installers and system integrators to register as dealers, as we do not supply end users. However, if you are an end-user, we can introduce you to one of our many resellers based in your area, locally or across the continent. If you meet the above criteria and want to become a partner, please complete our dealer application form and mail it through to [email protected]. Once vetted will be in touch to complete the process. To order stock you can call in, email, order online or pop into our distribution outlet. Our sales representatives are always ready to take your call or e-mail and process it for you. Alternatively, for secure, convenient ordering, order online. You can also visit our premises in Johannesburg or Cape Town and speak directly to the sales team staff. There’s always a friendly sales representative available to assess your needs and help you. Alternatively, you may also arrange with your courier or collect direct from our outlets. Please visit the Contact Us page for addresses and maps. All products purchased through Eurobyte are covered by manufacturer’s warranty. Our warranties are valid for authorised dealers and distributors only. Unless otherwise specified, we have a “Carry-in Warranty”. It is your responsibility to have the items sent to us. All goods sent in on warranty claim are tested by our in-house technicians to verify the fault of the problem, and of course, provide the quickest possible solution. Products purchased from Eurobyte have a 12-month warranty from date of purchase unless otherwise specified. We offer free delivery within the Gauteng and Western Cape regions. To find out whether your order qualifies for free delivery, please contact your sales representative. We offer nationwide delivery of our products using approved courier services. If you are not within these areas and would like us to arrange delivery for you, please liaise with your sales rep for a quote as delivery fees vary depending on weight, dimensions of the products and location it will be delivered. Eurobyte Technology has partnered with some of the world’s leading brands in CCTV. We supply installers, resellers, dealers and system integrators. Our key vendor partners include Uniview, Geovision and Howen. Uniview is a pioneer and leader in the IP video surveillance sector. Uniview is the third largest player in the video surveillance industry in China. In 2016, Uniview has the 7th largest global market share. Uniview has complete IP video surveillance product lines including IP CCTV cameras, NVR, VMS, Encoder, Decoder, Storage and Client software. Uniview products cover a diverse market which includes the retail, building, industrial, education, commercial and city surveillance sectors. The Uniview Camera Range we supply includes CCTV box cameras, CCTV Bullet Cameras, CCTV Dome cameras and CCTV PTZ Cameras. In the Uniview Box Camera range, the CCTV cameras come with HD Starlight surveillance, auto day/night functionality, up to 120 dB WDR (Wide Dynamic Range) and 3D DNR (Digital Noise Reduction). Other features include H.265, H.264, MJPEG compression, embedded smart algorithm, triple streams, ROI (Region of Interest) and 9:16 corridor format. Optional network interfaces are Ethernet RJ45 or optical SFP. The range conforms to ONVIF standards. Our wide array of Uniview Bullet Camera options includes weatherproof CCTV cameras and infra-red (IR CCTV cameras). CCTV optics include Day/night functionality, Smart IR, up to 50m (164 ft) IR distance and 3D DNR (Digital Noise Reduction). The Uniview Dome Surveillance Cameras are great looking cameras that blend in well with retail and commercial spaces. They are intelligent cameras with analytics that are useful for retailers and institutions that need people counting ability and other analytical features. Our selection of Uniview PTZ Security Cameras gives you the power to look around, literally remotely or through your surveillance DVR or NVR. Geovision is an established, reliable brand that has been on the market since 1998. Geovision is one of the top security 50 companies in the world. Their range includes professional-grade DVR systems, NVR systems and IP cameras. We have a variety of Geovision CCTV Products. Geovision’s built-in video analytics software has face detection, tampering alarm, unattended object detection, missing object detection, smart search, single PTZ object tracking, people counting and crowd detection. Other features include panorama view, defog, video stabilisation and crowd detection. The Geovision ranges we supply includes CCTV Cameras, CMS, Geographic Information Services, Geovision Accessories, GV NVRs, LPR, Point of Sale and Video Servers. Howen Technologies are manufacturers of commercial grade Vehicle Surveillance System (VSS) including Mobile DVRs, Mobile Data Terminals and Vehicle 3G/4G WIFI routers. Howen products can be found across the globe on buses, in taxis, in police cars, on trucks and other modes of transport that require surveillance. Security for logistic companies has always been a critical requirement. Howen’s hardware and software make it possible for you to monitor, analyse and manage your fleets more efficiently. We supply a wide array of CCTV Accessories for your CCTV installation. Our accessories include surge protection devices, plugs, hard drives, connectors, box camera mounts, dome camera mounts, fixed dome camera mounts, fisheye camera mounts, mini dome camera mounts, bullet camera mounts and indoor and outdoor PTZ camera mounts. Mounts include indoor pendant mounts, shortened brackets, long brackets, swan neck brackets, wall mount brackets, pole mount brackets, corner mount brackets, extra back outlets for cabling covered with black foam and much, much more in stock. Our surveillance division works closely with the installers, resellers, dealers, system integrators and retailers to provide commissioning assistance, network architecture supports, CCTV and networking products – all aimed at a turnkey solution for you, our customers. Our qualified technical specialists, sales experts and first-class support all ensure first class products and solutions. Our fully fitted CCTV and Surveillance training facility and highly experienced trainers provide vendor certification. Our demo centre is available to you so that you can demonstrate the product’s capabilities and features. Our range of highly sought-after brands ensures you always get the latest CCTV security solutions a world class service to match. Eurobyte distributes top networking brands that include Planet Networking, Cisco and Cattex. Our extensive range of Networking products includes networking devices, networking switches, rackmount network switches, server racks, server cabinets, power backup, UPS and UTP cables. Cattex is an industry leader in the supply of floor standing server cabinets, wall mount server cabinets, network & LAN racks, portable rackmount cases, data centre structures, customised enclosures and accessories for it and networking professionals. Cattex Networking now also introduce end to end fiber LC solutions, from our 24Port LC patch panel with splice kit to patch leads, pigtails and mid couplers. The Cattex range of sleek 19-inch Server Cabinets is manufactured to industry standard heights which comprise 12U, 16U, 20U, 25U, 34U, 38U, 42U and 47U. The cabinets are fully adjustable and are manufactured to international D1N41494 standards on sophisticated computerised machinery before being powder coated to the DIN 34946 standard. Vented doors on the standard IP55 Server Cabinets draw air through washable filters via roof mounted fans and exhausts it through the insulated roof, preventing your equipment from over-heating. Not only are these cabinets waterproof, but the additional filters also make them virtually dustproof. Cable entry is via the bottom gland plate. The doors are sealed with reinforced continuous air-cushioned rubber gaskets which are fitted onto a bent double lip gutter. Multi-functional security Tablet Trolleys are designed for storing, charging and transporting tablet devices when they are not in use. With the growing use of tablets in education and business environments, our trolleys are a reliable means that ensure devices remain functional and safe from theft. Trolleys are equipped with a plug socket for each tablet in its compartment. Doors are fitted with three-point security locking bars to prevent unauthorised access. Our Cattex range also includes networking cables and accessories such as KVM products, high standard CAT5 and CAT6 networking cables, etc. Our networking cables are designed for fast broadband applications and are the most popular network cables in the market. We can customise your requirements and assemble to any length, colour or type of patch lead you need. This in-house service ensures speedy turnaround times. In addition to Cattex Server Cabinet and Cattex Networking Cables, we also supply Cable Tools and accessories including Cable Testers, Toolkits, Crimp Tool, Punch Tool, Ratchet Crimp Tool. Other products from Cattex include Patch Panels and Cattex KVM Consoles. Eurobyte is the official distributor of Planet Networking and Communications products in South Africa. The brand gives business and home users the foundation for a primary or sophisticated integrated system. From the small office, home office (SOHO) to vast office network we have a full array for you. Planet offers “Easy installation and use”, “Compact-size design” and “Simple troubleshooting” that can be managed by novices and professionals alike. Planet is the go-to brand for all networking and communication needs from desktop switches, networking switches, CCTV switches to power over ethernet transceivers and converter. 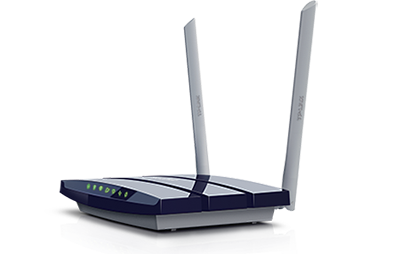 In our TP-Link product portfolio, we have Adapters, Wireless Routers and Range Extenders. These include a wide range for faster downloads & Internet gaming. For the home user, parental controls will keep your internet experience safe. 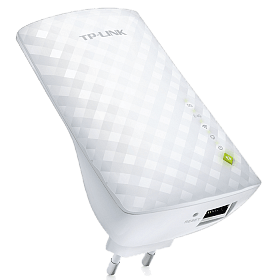 From TP-Link, we also have WiFi Range Extenders. From EPS we have a selection of power backup and emergency power solutions. These include the EPS UPS. This is a compact inverter designed to power your home appliances and precious electronics. Its high surge capability also can handle motor-type loads such as vacuums, small freezers, or drills. Also included in the range is the True Online UPS’, a selection of Inverters and Accessories Long Life UPS’, Batteries and Accessories. We also supply Solar and Pure Sine Wave Inverters & Accessories that are generator compatible. They have a wide input voltage range, True Double Conversion and Charger capacity expansion to 8A for long-run models. We also supply Deep Cycle Battery Enclosures, 1.4, 2.4 and 5 KVA Solar Inverters and Rackmount & Tower Uninterrupted Power Supplies. Ubiquiti provides a variety of high-end wireless networking products that utilise our innovative and groundbreaking wireless technology. Access Points, Nanostation, Nanobeam etc. Our expert sales and management staff will help you from the architecture stage all the way through to commissioning your ideal solution. Eurobyte Technology distributes a wide variety of leading international ICT infrastructure equipment. Our hardware and software brands including HP, Microsoft, Dell, Planet, Intel, Raidmax, ATX, Genius and many others. We offer a selection of desktop computers, notebooks, PC peripherals, PC accessories, monitors, speakers, cases, Cattex cables, desktop computers, genius products, graphics cards, hard drives, HDMI accessories, memory, motherboards, NAS devices, notebooks, optical drives, power supplies, processors, software and visual displays. We service our range of products on a national and regional level via our partner retailers, installers, resellers, dealers and system integrators. Our product specialists and engineers enable us to partner with our customers on any project, big or small, with design, architecture & competitive pricing. We do not just supply hardware and software products; we also partner directly with key product vendors to offer our customers competitive pricing, valuable advice and expertise, warranty and first line support for applied solutions. We offer a wide variety of Hardware and Software product and solutions. If you need to set up quickly and efficiently or if you have many computers to set up and connect for a massive project – we have ready to go Desktops and Notebooks. These range from cost-effective Intel Celeron units to top of the range Intel i7 units. In our Cases range, we have OEM Cases, Raidmax Cases and server chassis. Our technical team will help you consider, cooling requirements, space inside and outside the units and select the right overall look and feel of your project or system. Our range of Gigabyte Ultra Durable™ Motherboards brings together a unique blend of features and technologies that offer users the absolute ultimate platform. They support the latest generation processors and ample DIMMs for your needs. Our range of Intel Processors will fit just about any budget and performance requirements. Maximise your performance with the right Desktop DIMM Memory or Notebook Dimm Memory. Complete your build with the right size Hard Drives and Graphics Cards. We take care of all the other extras like Power Supplies, Optical Drives, and Computer Peripherals. In our Backup and Data Storage section we have a selection of high-quality NAS Devices. Thecus NAS has features not typically found on entry-level NAS – hot-swappable drives and iSCSI support. Once your system is setup connect it to the Visual Display that gives you the optimal viewing experience. Whether it is a standard monitor or larger TV screen, we have a full selection for you. We also have Cattex mounting brackets to support your choice in display. We offer a wide range of accessories and peripherals. These include Genius Products, Audio Motion Speakers, Cattex Cables, HDMI Accessories, Flash Drives and more. Visit the Eurobyte website to see the full range available to you. To order stock you can call in, email, order online or pop into our distribution outlet. Our sales representatives are always ready to take your call or e-mail and process it for you. Alternatively, for secure, convenient ordering, order online. You can also visit our premises in Johannesburg, Tshwane or Cape Town and speak directly to the sales team staff. There’s always a friendly sales representative available to assess your needs and help you.